Well, okay, so there’s a lot of work still to be done, but a significant milestone was achieved a little over a week ago when Cam and I secured the last of the benchwork to the wall for the Alberni Pacific Plywood division. 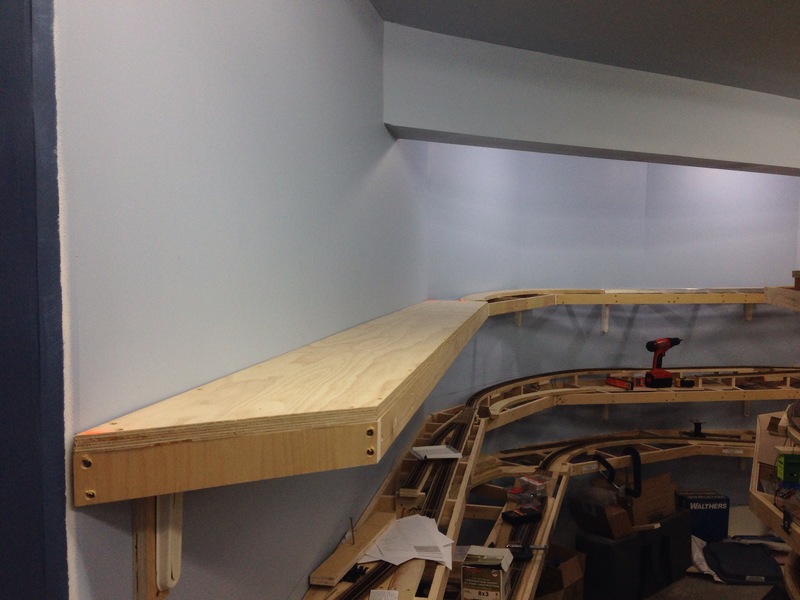 That bit of benchwork means that everywhere I want to install trackwork, I have the wood to support it. Admittedly, it’ll be a fairly lengthy time before I can actually run trains on it due to the fact I’m needing to build all the turnouts for the Port Alberni yard first, and could have worked on them first, but I wanted to get the major amounts of woodwork completed and get the chopsaw out of the basement and make use of the space this tool vacated. As well as having a clean floor too. This entry was posted on October 27, 2014. It was filed under Benchwork. 50% complete, only 100% more to go ! 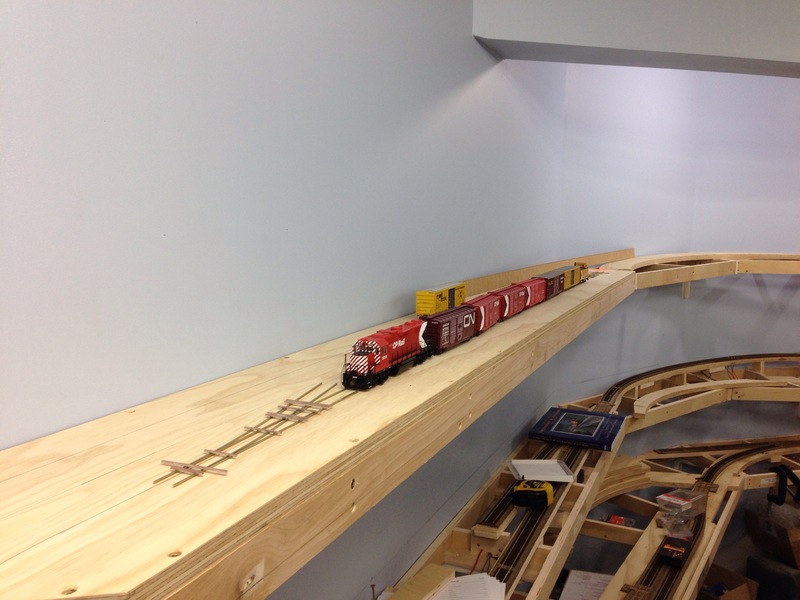 Great to watch your layout progress. I noticed in your latest post the you refer to Alberni Pacific Plywood operation. Alberni Pacific Division is the neighbouring sawmill to the Alberni Plywood Division. These were 2 separate operations of MacMillan Bloedel. Thanks for the feedback. IIRC, the sawmill for Alberni Pacific shut down well before 1988, yes? And the Plywood Division only lasted until the early 90’s, correct?